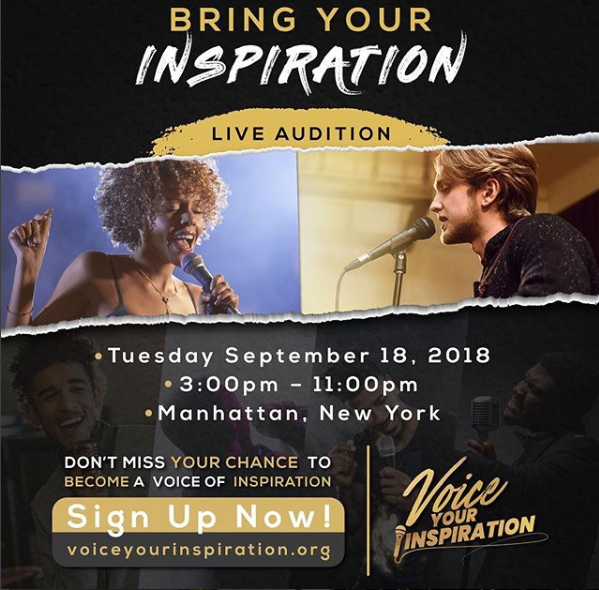 In association with RCA Inspiration, Chew Entertainment, helmed by music power couple Ray Chew and Vivian Scott Chew, presents the Voice Your Inspiration contest, to discover the next great artist that will be a voice of inspiration. Open nationwide to musicians who can be a solo act, duo, or small band ensemble, artist submissions are under way, to audition by submitting videos to https://www.VoiceYourInspiration.org. Renowned music director, composer, and producer Ray Chew (whose work spans “Dancing with The Stars,” “American Idol,” “It’s Showtime at the Apollo,” “BET Awards,” and artists Rihanna, Carrie Underwood, Pharrell Williams, Justin Bieber, Aretha Franklin, Queen Latifah, Jennifer Hudson, Quincy Jones, Pitbull, Pastor Shirley Caesar) and music producer/executive Vivian Scott Chew will present their third annual “A Night of Inspiration” at Carnegie Hall on Saturday December 15th. The annual all-star concert, has previously featured gospel and secular artists including legendary icons Pastor Shirley Caesar and Dionne Warwick, Richard Smallwood, Yolanda Adams, Donnie McClurkin, operatic tenor Lawrence Brownlee, and international musical acts. Renowned label RCA Inspiration is home to chart-topping inspirational releases from Travis Greene, Koryn Hawthorne, Israel Houghton, Donnie McClurkin, Marvin Sapp, and more. This entry was posted in Blogs, Christian Contemporary, Gospel, Reviews and tagged Chew Entertainment, Ray Chew, RCA Inspiration, Vivian Scott Chew by Kris Patrick. Bookmark the permalink.